deJpeg is a freeware resources extractor that could export JPEG images from Microsoft Word documents (*.doc, *.docx). 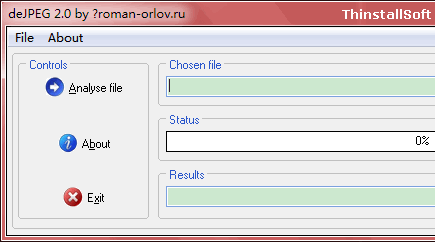 deJpeg can also extract jpeg files from any files, such as data files, exe files and so on. deJpeg detects jpeg files by inner signatures including simple jpegs, Exif jpegs, jpeg files modified by Photoshop and other graphic editors. This entry was posted in Office & PDF and tagged dejpeg, doc to jpeg, docx to jpeg, microsoft word. Bookmark the permalink.